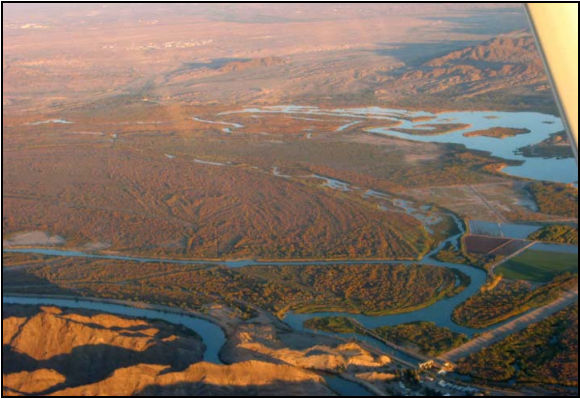 The Laguna Riparian Habitat Enhancement Concept presents a conceptual plan for improving native riparian vegetation and associated habitats within the Laguna Reach along the lower Colorado River (LCR). 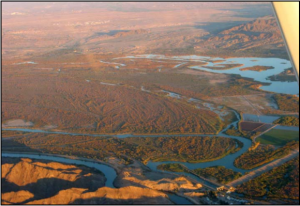 Various entities including the Bureau of Reclamation (Reclamation) are actively involved in protecting and restoring habitats along the lower Colorado River. This concept is intended to provide a basis for efforts to enhance or restore habitats within the Laguna Division for a variety of valuable fish and bird species and to stimulate discussion on ways to meet these goals. The concept described does not address water rights issues. • Maximize high quality native riparian plant communities and associated wildlife habitats.